Earlier this year, following the official launch of BlackBerry 10, there was a lot of speculation that BlackBerry would release another version of their relatively unpopular and many news stories of the coming PlayBook 2 were in circulation. 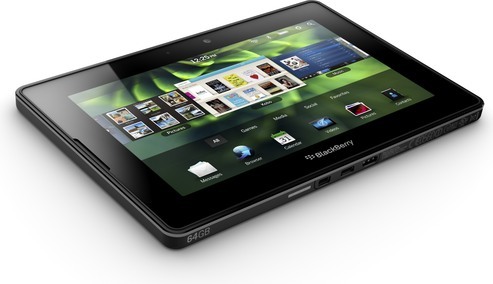 Many of these were very definite with the news and stated that Q2 2013 would see BlackBerry release their second tablet. Obviously a lot has happened to BlackBerry since February this year including a name change from RIM, numerous possible sales, a less than smooth launch of BBM on iOS and Android, and now another interim CEO. However, in the last 48 hours, rumours that the PlayBook 2 project has been brought back to life have started to hit the headlines again. Following a $1bn investment agreement with Fairfax Financial, John Chen was appointed new interim CEO of BlackBerry. Chen insists that it’s not over yet for BlackBerry’s hardware division. A statement that has led many to jump to the PlayBook 2 conclusion. At this point in time there’s really nothing at all to substantiate the rumours and until we start to see anything more concrete than a ‘maybe they will’ I for one will certainly consider this to be nothing more than vapour-ware or maybe hope-ware. The Mini Keyboard for the BlackBerry PlayBook is very much a luxury accessory and being pretty expensive maybe one that most PlayBook users wont pick up. It does however have some benefits that many users will love and come to cherish. Being such a huge BlackBerry fan as I am, and also a PlayBook user, I was obviously pretty excited to get my hands on the Mini Keyboard. The question I initially was asking myself though was can I justify spending about £80 on an accessory when the on-screen keyboard on the BlackBerry PlayBook is wonderful to type on. Only one way to find out and that’s to read on. Just a couple of weeks after the BlackBerry PlayBook launched in North America I was lucky enough to get one of the first review devices to arrive here in the UK. To say I have been looking forward to reviewing the PlayBook would be an understatement. As a big BlackBerry fan I am hoping I can see the PlayBook taking over the role of my Apple iPad which I use every morning and evening. Could this smaller form factor make me take a tablet to work with me each day? The PlayBook is RIM’s first attempt at the tablet market and many have been quick to slate the PlayBook. I am going to give it a fair crack of the whip and by the time this review is complete I would have spent nearly three full weeks with the device. Now although I am a BlackBerry fan I hope you all realise from past experience that if a product does not live up to expectation we here at tracyandmatt will certainly say so. Lets crack on and have a good look around both the hardware and software of what I am hoping will be my new companion.